Poker Hands List | Best Texas Holdem Poker Hands Rankings In Order! 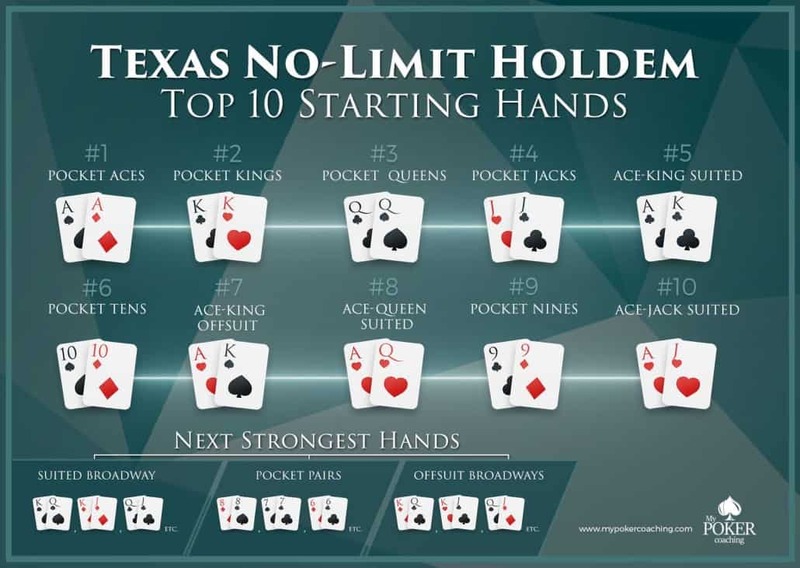 The Best Texas Holdem Poker Hands Rankings In Order and Tips For Analyzing Any Poker Hands! The first things that you need to learn when playing Texas Holdem are rules and poker hands rankings. Without knowing what beats what you will be struggling to move forward. Thus, spending a few minutes going over the list of poker hands in order will pay for itself in no time. Download the full resolution picture for later use! 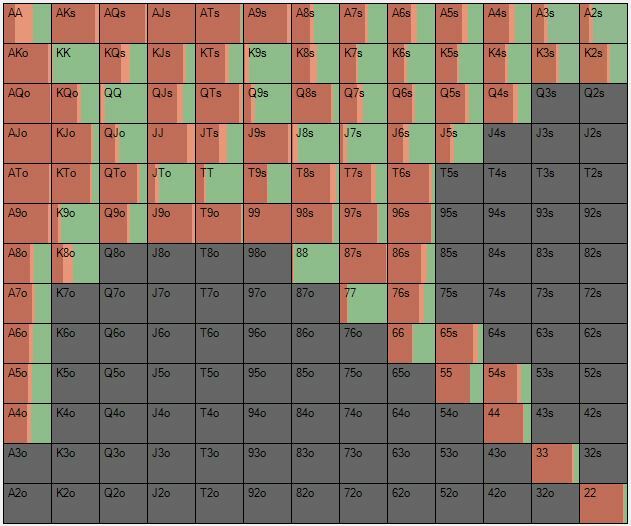 If you find this poker hands chart misleading, I made a list as well. 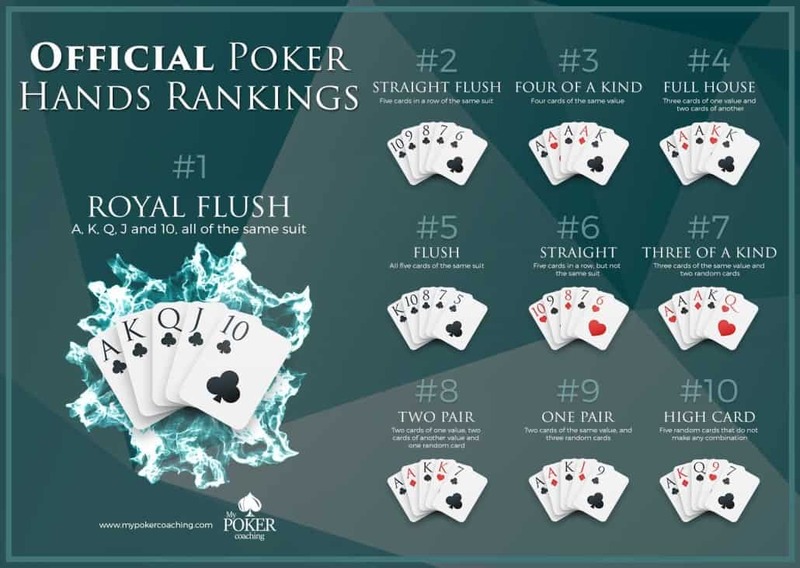 Make sure to remember all poker hands rankings in order from strongest one to the weakest, and you will be able to recognize this in the game with a blink of the eye. There are few situations where players can have a similar holding, but you still need to decide the winner of a particular poker hand. If two players have one pair hand, the one holding a higher pair will win. KKxxx will always win against JJxxx and so on. However, sometimes players end up having the same pair, such as KKQT3 and KKJ72. In this case “the kicker” comes into play and the player holding the highest non-pair hand will win. Therefore, poker hand with KKQT3 will take down the pot because it has a higher kicker (Q>J). If the top non-pair card is the same (like KKQT3 vs. KKQ94) than you have to compare the second high card and if that is the same than the third one. The pot will be split if all five cards are the same and both players end up having the identical combination. It could happen with two pair hands as well. If players have JJ55K and JJ55Q, the one holding a king as a kicker will take down this pot. I hope that by now you have a full understanding of which poker hands beat which and general Texas Holdem poker rules. If that is the case, we can start discussing preflop strategy and hand selection. 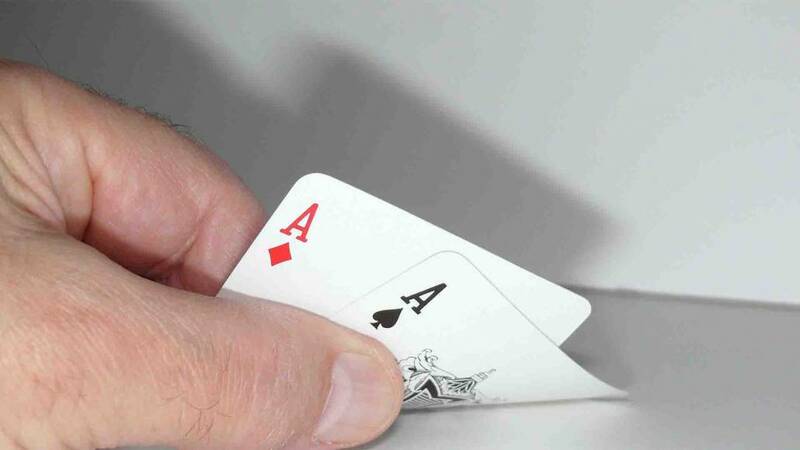 As you probably know, the best hand preflop is pocket aces (AA). Unfortunately, you will get that just 1 in 221 times or just around 0,45% of the time. Therefore, waiting just for premium holdings is not an option, and you need to have a different game plan. Knowing what hands to play is the most important part of any successful cash games or poker tournament strategy, and you have to learn it. Luckily, I already created a list of hands that you can be playing from various positions. Moreover, you will be playing different holdings in cash game and MTTs as well because of varying formats and antes in the games. Thus, if you want to know what hands to open in multi-table tournaments or cash games, just grab my Texas Holdem poker cheat sheets NOW! However, it is not so easy to learn advanced strategies that all professional players apply in their game to crush the competition. 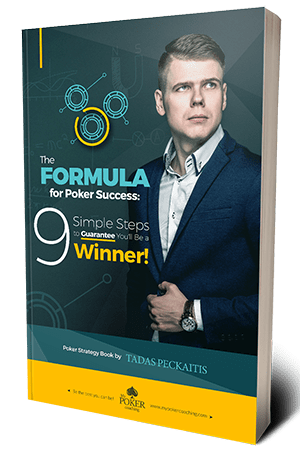 But if you want a shortcut for that, you can always check my “Poker Formula for Success” training program for cash games and same a lot of time. You will be able to play different poker hands against different players; you will know how to adjust your ranges versus different sizing and much much more. Thus, I highly recommend at least reading the description and seeing what you should learn for yourself. 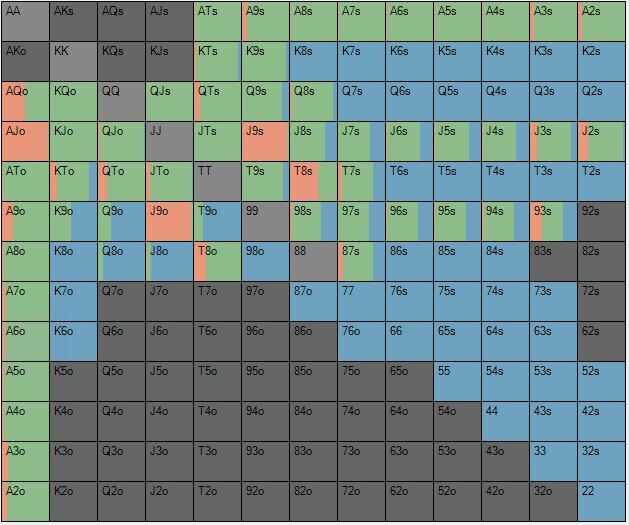 Before learning how to analyze your hands take a quick look at preflop poker odds and hands match-up. If you ever get lost what are the best poker hands to play, just refer to this starting poker hands list and you should be good. 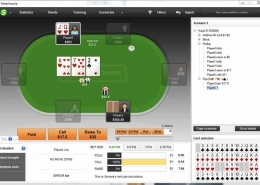 Choosing the right hands preflop is one of the most important things when starting out. Do yourself a favor, do not play unreasonable holdings and concentrate on getting maximum EV with your best poker hands. When you are ready to move forward and start playing, your primary job is to learn how to analyze poker hands. Without understanding how to put your opponent on a range of possible holdings, you will be just guessing and most likely not even improving much. Therefore learning how to analyze Texas Holdem poker hands, or other games for that matter is the first thing you should master. For starters, you need to distinguish good and bad players and bear in mind that recreational players will be playing more random holdings, which is obviously good for you. So keep that in mind. Also, you must understand how often you should be betting on different boards based on your range and contrary to this, how often you should be defending when facing a bet. This way you will be able to see when your opponents deviate from optimal strategy and punish them for it. On top of that, you should know what is pot equity and implied odds to make better decisions. Whenever you want to analyze any poker hand, you should start by analyzing preflop action first. You have to take into consideration your opponent’s position because it is a good indication of possible holdings. 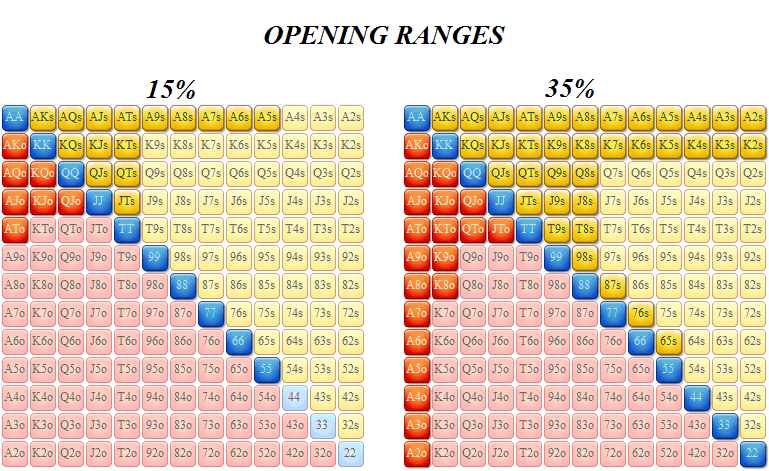 A player who opens from the first position (called UTG –under the gun) is not going to have hands like Q3s or 85s while someone who is opening from the button can easily have it. Thus, it is pretty clear that you have to play differently against such players and identifying which poker hands they could have is the first step. Players from later position will be playing more weak poker hands and much wider ranges, so you have to remember it. However, knowing the position is not enough. You need to determine are you up against a passive or aggressive player as well. 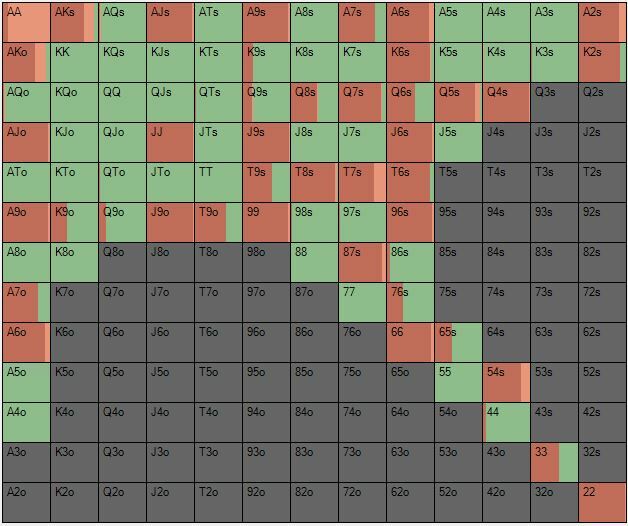 If you are playing against a nit, he could be opening only the best poker hands, like just 15% of all holdings from the CO position while the more aggressive player could be playing 35% or even more and as you can see in these poker hands chars, the difference is massive. As a result, the one opening 35% will have weaker holdings in his range, and you should be willing to play more hands against such an opponent as well. If your opponent raises first in (RFI), you can easily put him on a range using previously mentioned Texas Holdem poker cheats sheets, based on his position. However, you should not forget to remove some of the unlikely poker hands from his range, based on a different action. If you open UTG and everyone folds to Big Blind who decides to 3-bet, you will not see many weak hands in his range. For the most part, a player who is in the position to close the action in the big blind and is guaranteed to see the flop if he calls, will be simply calling with most weak and speculative poker hands. Therefore, if he chooses to 3-bet he will be doing it with the top part of his range. PokerSnowie suggests such a range in the 6-max game from BB versus UTG open. You must learn how to reduce the likelihood of your opponent holding one hand or another after he makes an action on the flop. Obviously, to get more accurate you have to put a decent amount of practice on and off the table. Probably the best way to learn this is to study theoretically right approach to any given situation so that you would know what hands your opponent should be betting or checking and make your decision based on that. 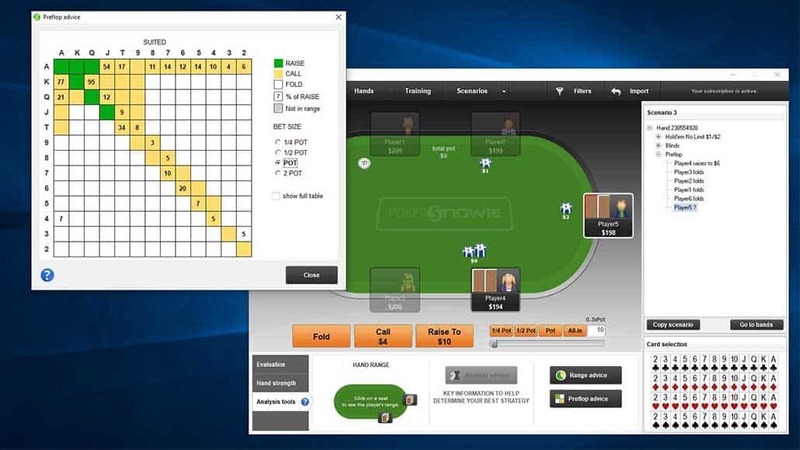 There are many poker tools and software that can help you with this, but the easiest one to start off is probably PokerSnowie because it has a clear and user-friendly interface so you will instantly know how to use it. After you study strategy and learn when your opponents should be betting or checking, you will be able to easily remove unlikely poker hands from his range based on his action. Bet sizing can give you a lot of additional information, so you should take notice of your opponent tendencies. For example, recreational players will rarely bet small for value and most of the time will go for a big bet, so you can easily exploit that. Obviously, that is just a general rule and it will vary a lot based on your opponent. Thus, in order to make the best adjustments, you should observe other players to see how they play different poker hands on different boards. Try to remember what action they take after seeing a showdown, even the one where you are not involved. You can easily use that info later on because players rarely change their tendencies. Therefore, you have to notice those tendencies whether you are playing live or online. If you are playing live, you have to observe other players and whole table dynamics to get as much information as possible and that is probably the only way to be aware of different opponents at your poker table. However, that changes a lot when you are playing online because you can get a ton of information from different poker stats and adjust your strategies versus different players. Therefore, you should be looking to get help from many programs available today. I highly recommend checking out the list of the best poker tools and software that I am using myself. 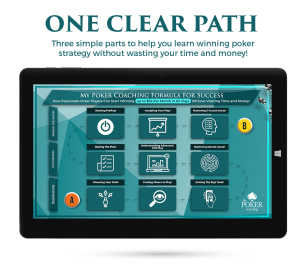 It will surely help you gain an additional edge and analyze your opponent’s poker hands. If you not sure where to start, then get a free trial from either Holdem Manager or Poker Tracker. When you know the approximate range of your opponent, you can make decisions that are more educated postflop and choose your action based on the board texture. Let us take a quick example. If your opponents open 15% of hands from the CO, he is going to have a good draw, middle pair or better around 57% of the time on QT7r. However, if he is opening around 35%, he will only hit those hands 35% of the time on the same board so his range will be much weaker. You can counter that by bluff catching or even bluffing yourself, and there is no way you could know that without using poker tools to learn. Just like on the flop, you can easily make educated guesses of your opponents range based on his action on later streets and community card that came. Most players will have tendencies that are easy to guess and play most of their poker hands without adjusting to the situation. Meaning, if they are checking the second pair without a kicker on the turn one time, they are likely to be doing that almost always in similar situations. Therefore, after seeing it once, you will be able to remove these hands from his range when he makes a bet in a similar spot later on. This can be applied in many situations, and you do not need to see how every opponent plays poker hands that he is dealt, because you can judge a lot from population tendencies and many players will be doing the same thing over and over again. Obviously, you need to learn what is the right strategy in most common situations as well to see how other players are deviating from that and it will become a very big weapon. You will notice when other players will start making mistakes and can easily exploit that. If you want to see some poker hand analysis in practice, you can take a look at my poker hand of the week series where I cover many interesting spots or even peek inside Upswing poker lab review for more advanced stuff. And now, let us go to the example and see how all of that looks in practice. BB checks, BTN bets 3.5BB, BB calls. BB checks, BTN bets 9BB, BB calls. BB checks, BTN bets 22BB, BB calls. These are the poker hands that PokerSnowie suggests opening in a 100BB deep 6max cash game, so let’s consider it in this example. And for the sake of easier visualization, I made BB defending range with Poker Equilab, so that you would not have to consider mixed strategies with various hands, which is not important at the moment. Light blue – poker hands that your opponent is likely to call most of the time. Dark blue – poker hands that should be in 3betting range for the most part, but many players choose to call it. 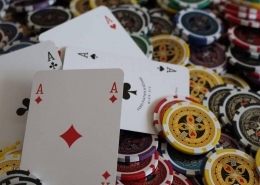 Unmarked – either value 3bets or poker hands that going to be folded most of the time. Learning what ranges you should be playing is quite easy, and actually, there are quite a few options for that. You can either grab my Texas Holdem preflop charts or get a free trial of PokerSnowie and make charts for yourself. When you know which poker hands should be opened from every position and how to play against that, visualizing preflop ranges will be very easy and you can move forward to postflop. The second step is to reduce likely holdings based on the flop action. Firstly, you should be aware which boards are better for preflop raiser and which ones for the caller. This way, you will be able to know how often each of the players is going to bet and I highly recommend spending some time to learn this. You can simply input preflop poker hands into PokerEquilab and see who has the range advantage. As you see, this board clearly favors the BTN range. Moreover, the player on the button has more nut type hands, such as AA, JJ, 99 and even AJ. The big blind would be 3betting these holdings most of the time, therefore won’t have it when he simply calls preflop. Taking that into consideration, it is clear that BTN should be c-betting very aggressively. This is how Pio solver thinks BTN should be playing in this situation. Obviously, an optimal strategy always involves a lot of mixed play with the same poker hands, meaning that some of the time you have to bet and some of the time you have to check same holdings. Thus, it is quite hard to remember and implement in practice. 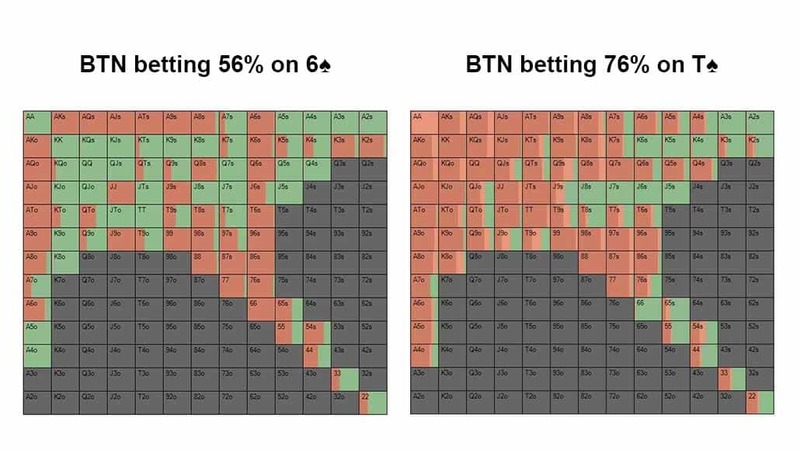 Therefore, for the sake of this discussion, let’s summarize BTN range and make it a bit easier to understand which poker hands you or your opponent should be betting in this spot. 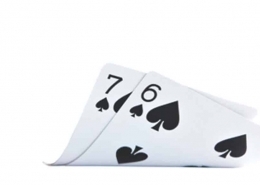 Flop c-betting range: Sets, two pairs, most top pairs, 2nd pairs, 3rd pairs, low pocket pairs, open-enders, all gut-shots, runner-runner flush draws. On this board, your normal bet size should be on the bigger side and vary from around 2/3 of the pot to 75%. As you see, the big blind strategy is much easier. Big blind should be defending when facing c-bet: any pair or better (excluding low pocket pairs), open-enders and gut-shots. This is how you should be playing the vast majority of your Texas Holdem poker hands and learning how theoretically sound strategy looks is a must to reach long term success. You can easily make adjustments based on your opponent tendencies when you know how optimal range looks. 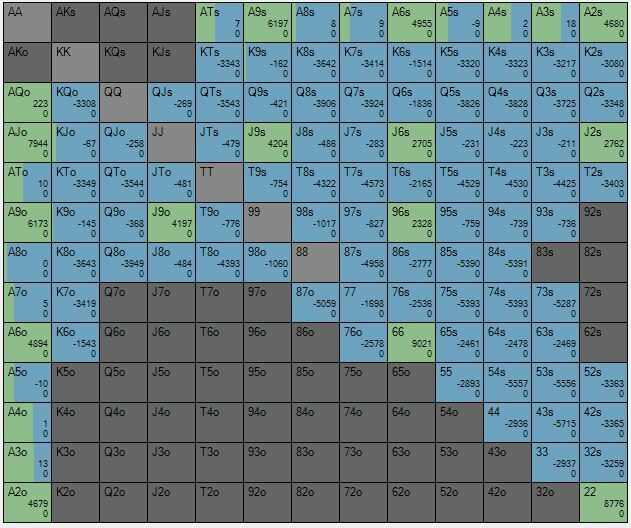 For example on this board of A♣ J♦ 9♥, BTN should e c-betting around 66% of the hands according to PIO solver, but if you are playing online and have stats that your opponent is c-betting way less or way more than he should, you can easily adjust your ranges to counter that. However, if you do not have such info, sticking to an optimal strategy that is suggested by these tools is the best way to go. Same thought process could be taking for using different bet sizing. If your opponent bets huge on this board, like POT or even more, you can remove many holdings from his standard betting range. When players bet very big, they tend to have very polarized ranges full of made hands, strong draws and total air. Thus, you can easily remove hands like top pair without a good kicker, second or third pair from your opponent’s range. Taking some practice and learning how to put your opponent on a precise range of poker hands will take some time, but when you learn how to do that, you will become an extremely tough player. You have to follow a similar thoughts process for later streets as well. 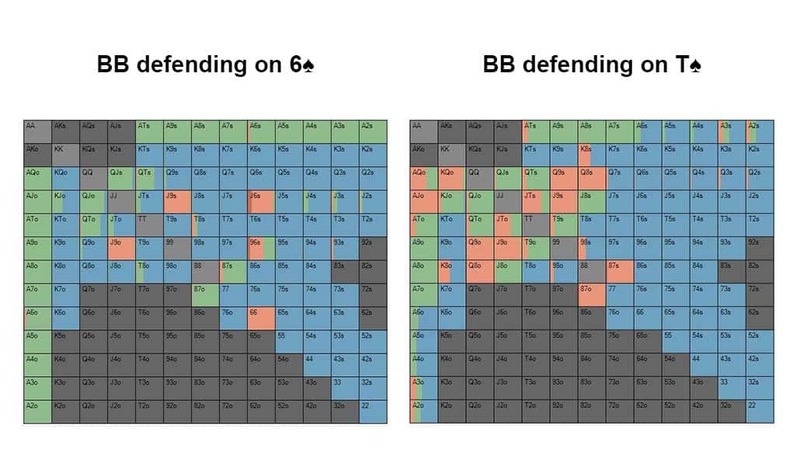 You should understand which hands BTN has to be betting and BB should be defending based on the Turn and River, in order to build a strong strategy. No matter what the Turn is, big blind should be checking all of his poker hands. 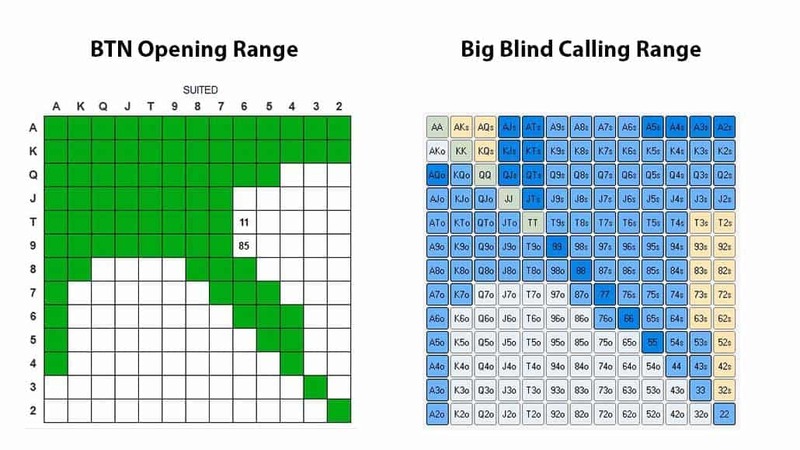 So obviously, defending ranges from the big blind will look differently as well and the player should be continuing with different poker hands based on the Turn card and opponent’s action. As you see, different runouts suggest a different line of action, so you need to understand which card favors one range or another and study how that changes your approach. All of this process should be applied to the river as well. Let’s say the Turn was 6♠ and now we see 2♣ on the River. Obviously, big blind should be checking all of his holdings, including the best poker hands one more time and BTN should be betting like this. At first look, BTN strategy could look quite strange because we are not only betting our best poker hands, such as two pair or better but also firing few one pair hands like AK and A7 alongside our bluffs with good blockers. But all of that is needed and will help you to become a tougher player. After such bet the big blind should respond accordingly by calling two pairs+ and some one-pair bluff catchersin order not to be exploited. This is how the whole process of analyzing poker hands looks. I will repeat myself one more time, but in order to learn how to put your opponent on a range, you must learn how balance strategies look. This way, you will know what to expect from your opponent’s and how to play yourself in any given situation.